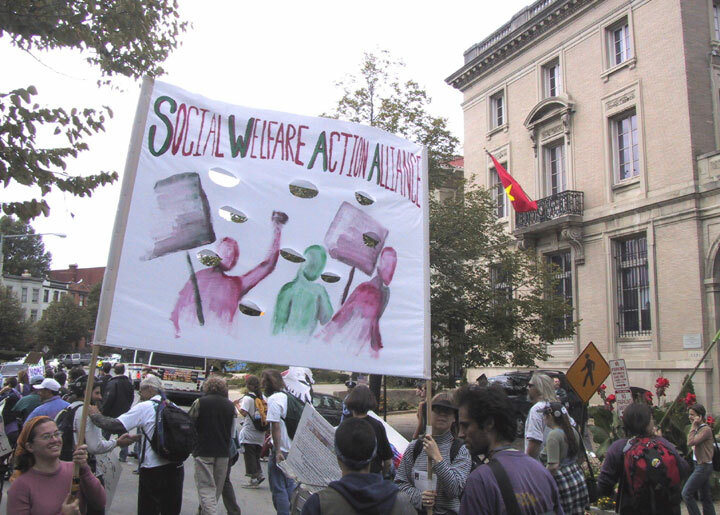 In light of the fact that funding for TANF expires in September 2002, SWAA has launched a national Teach-In Campaign targeted to ending poverty not welfare. The series of teach-ins replaces the SWAA national conference for 2002. Since the internet has become a powerful source of information and a useful organizing tool, SWAA compiled but has not screened, this list of web sites. Check this out and send in your additions and corrections! MS Word Version. Poor People Forum: Defend poor people all over the world! SWAA's National web page Check out this new page at: www.geocities.com/michel4justice/SWAA_Home.html. SWAA on the WEB Article from "BCR Report," SWAA's Newsletter. Kensington Welfare Rights Union Grassroots organizing at its best, check out their valuable site. Low-Income Networking Communications (LINC) Project http://www.lincproject.org/tanf/ Links to other national organizing projects and reauthorization resources.